How does a restaurant set its menu prices? 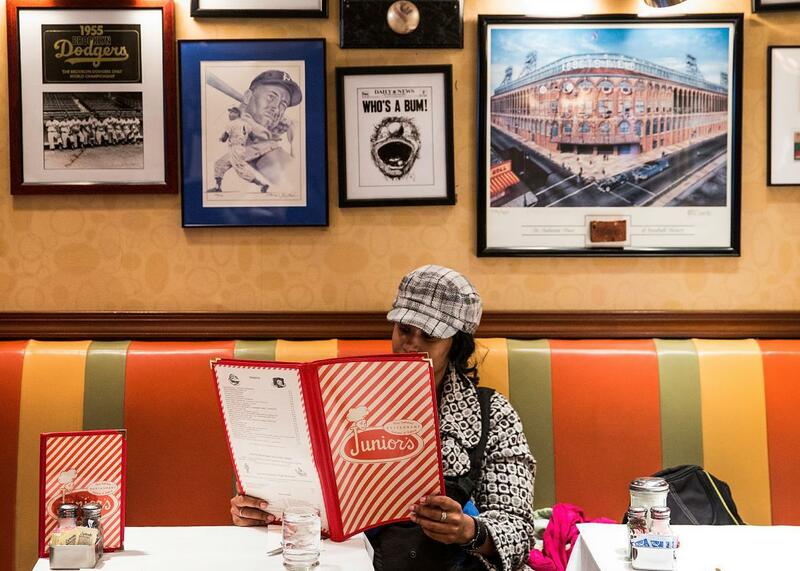 A woman looks at a restaurant menu in 2014 in Brooklyn, New York. What’s in a dish’s cost? Well, shall we break it down? ”Hospitality” items, such as laundered table cloths, vacuumed floors, etc. On top of all that comes what little profit one makes per dish. All the above can fluctuate heavily. Depending on your purveyors and their history with you (and your liquidity—purveyors who sell on credit are few and far between and usually charge premiums), you might pay double sometimes. If you’re buying from a more remote place, transport adds up. If you have better trained staff, same happens. Usually, we try to balance things. We try to eliminate loss and spoilage to reduce cost—for example, add better insulation to reduce cooling and heating costs, upgrade kitchens to lower energy needs, etc. But we can only go so far; sometimes we just pay more than someone else to produce the ostensibly same dish. When we price an item, we’re generally quite unimaginative. We have a standard percentage of food costs to overall price and apply that. We then add or subtract small amounts based on if this is a dish that’s prone to cost us more (for example, in spoilage or in work hours needed). Our competitors do the same—they just might have different baseline costs. Finally, and this is something I should definitely mention as a stand-alone: Fluctuations in licensing and rent are insane in some cases. Some cities apply protectionist rulings to actively dissuade new restaurants from competing. Some landlords raise rents because they know they can. If your restaurant does something for a much higher price than the competition, ask the staff why. Sometimes they’re more than happy to share the tale of licensing or rent woes. Cooking: What does it take to earn one, two, and three Michelin stars? Restaurant business: Why do large parties often have to pay a mandatory tip at restaurants? Restaurants: How realistic is the atmosphere in Hell’s Kitchen?